Discussion in 'Steyr' started by FGYT, Jun 4, 2010. What are the lengths of the Rifle and Pistol Cylinders. 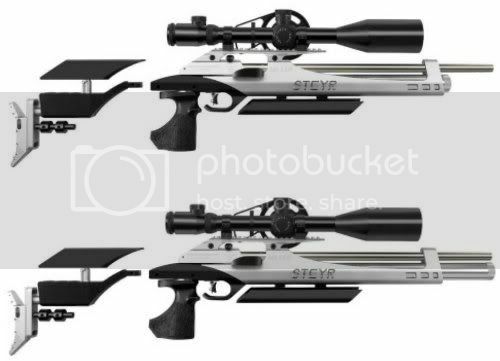 The fillers for the rifle & pistol are different. Quite often the front hole needs opening up as the barrel is still touching the frame even after the screw & pad are remove. hopfully they will be if i do get round to buying one as first mod will be to cut several inches of the air cylinder so effiecent use of air would be good. I see a few people mention Titanium cylinders which i guess on replacing steel ones gives a weight decrease but on these alu ones probably not. but does it give a larger internal Diameter cylinder if you can use thinner wall section and thus more shots etc ?? I did wonder why you would use Titanium ..